I started writing later in life - never thought I wanted to write until I was approaching retirement. But something changed. Maybe it had to do with 'old age' or a desire to preserve experiences. Whatever the reason, Love's Illusions was the result. Love's Illusions is the 2016 winner of the Maggie Award for writing excellence given by the Georgia Romance Writers. So now, a full believer that life begins at 60, I spend my time reading, writing, herding my six cats and enjoying the life that north Florida has to offer. Love's Illusions: A Novel by Jolene Cazzola is a contemporary romance novel with a classic love triangle theme. Jackie Moretti is a young student living in Chicago who finds her Prince Charming in Stephen during her high school days. The two get married; however, problems start surfacing pretty soon after and, before she knows it, Jackie is left with a broken marriage with neither of them knowing how to fix it. Jackie dives into a downward spiral and it is while working as a cocktail waitress that she meets Michael Nowak. Michael is a mechanic, and the two start hanging out fairly frequently. Before she knows it, Jackie finds herself being more and more drawn towards Michael. However, just when she thought Stephen was out of her life forever, she hears from him. Things get more complicated and with a new move and job on the horizon, Jackie’s dilemma only increases as she faces a tough decision. Love's Illusions: A Novel by Jolene Cazzola is an enjoyable read with a simple and straightforward writing style. The plot does tend to get a bit predictable at times, but the characters are well drawn and authentically portrayed and they make the story seem realistic. The challenges that each of them faces, especially Jackie, are very easy to relate to and make the story seem believable. In the end, I found myself rooting for true love and hoping that every one of them finds peace. 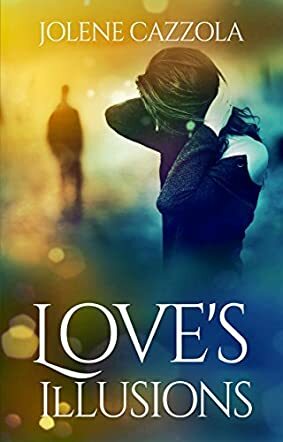 Love's Illusions: A Novel is an enjoyable read for people who enjoy love stories or the romance genre, and I am sure they won’t be disappointed with this one.